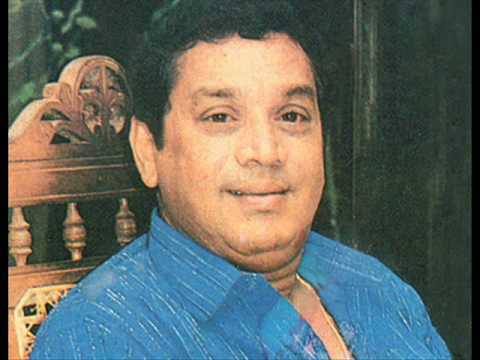 was a prolific playback singer in the Sinhala cinema. He also worked as an opera singer. Jothipala lent his voice to all classes of actors ranging from Eddie Jayamanne,Boniface Fernando,Baptist Fernando, Ananda Jayaratne, Gamini Fonseka,Roy De Silva, Vijaya Kumaratunga, Sanath Gunathilake, Tony Ranasinghe, Ravindra Randeniya,Joe Abeywickrema,Oswald Jayasinghe,Tissa Wijesurendra and even several of the young generation of actors in Sri Lanka , H R Jothipala is an artiste who dwells in common man’s heart forever. As the only local artiste who became more popular after his demise Jothi reminds us of Elvis Presley, the King. He came to be known by his initials "H. R." and was loved as "Hadhavatha Raththaran Jothipala", meaning "kind-hearted Jothipala", due to his kindness to people of all ages, communities, and families. He attended St. John's College in Dematagoda and St. Lawrence College in Maradana . Jothipala would visit tea kiosks to hear music as his family didn't own a radio. He married with Vintor Blosem. As well as they have 4 daughters. Jothipala made his debut as a playback singer on Cyril P. Abeyratne's Surathalee, singing "Siriyame Sara", in 1956. Prior to that, he had recorded a song for the late Sirisena Wimalaweera's Podi Putha. The song didn't make the final cut, as the Indian film composer on the film didn't consider Jothipala's voice good enough. Jothipala has said that he contemplated taking his life when he went with his friends to watch Podi Putha and found out that his song was not included. Later when Surathaleeproducer Jabir A. Cader wanted to hear one of his songs to consider him for the film, Jothipala almost passed on the offer as he did not possess enough money to create a record. He was helped out by veteran musician Stanley Omar who financed him for the sum of 35 rupees – a large amount of money at the time. Jothipala's song on the film, "Siriyame Sara," still remains popular in Sri Lanka, having recorded the popular number under the direction of T.R. Papa at Wahini Studio in india.